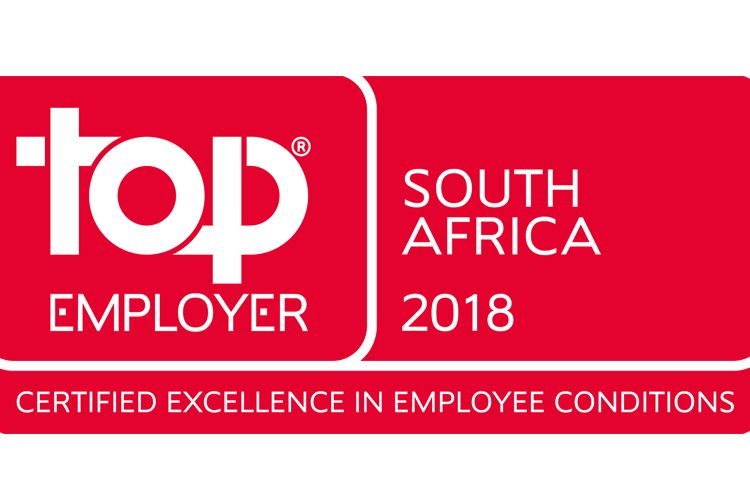 SPAR South Africa has been awarded the Top Employers South Africa 2018 certification for the fifth year since choosing to participate. Top Employers is an annual programme that certifies organisations that successfully demonstrate an exceptional HR environment and employee offerings. The programme’s comprehensive independent research covers employee conditions, talent development throughout all levels of the organisation and the ability to always strive to optimise employment practices and develop employees. Each participant that qualifies for the exclusive Top Employers certification is entitled to use the Top Employers Certification Seal for one year. The Certification Seal is an internationally recognisable symbol that can be used or worn in many ways. Only the world’s leading employers can use it. Each year there are initial conversations with approximately 760 companies internationally. From those initial conversations, the candidates capable of demonstrating a mature HR environment and the greatest chance of achieving certification are invited to participate in the research. Unlike many other accolades, the Top Employers programme does not survey employees. The programme examines what each organisation offers its employees and how it ensures that there are quality initiatives in place for them to develop, both professionally and personally.